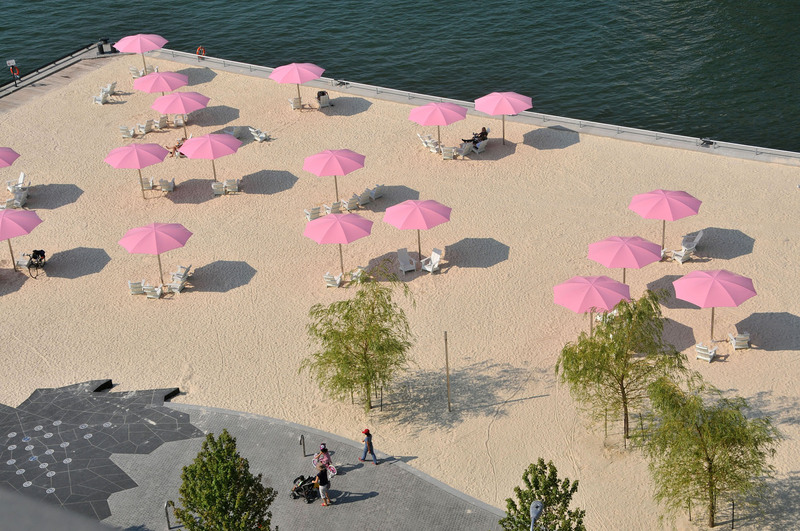 Canada's Sugar Beach is a whimsical park resulting from the transformation of a surface parking lot into Toronto's second urban beach along the water's edge. 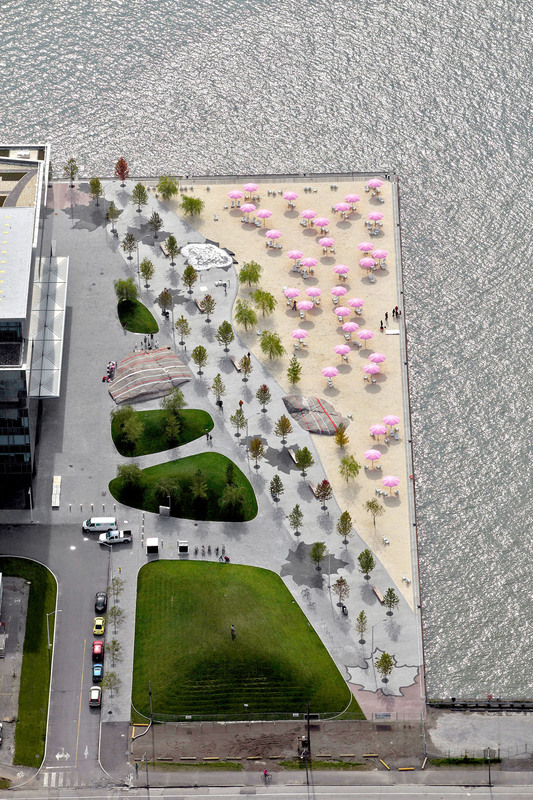 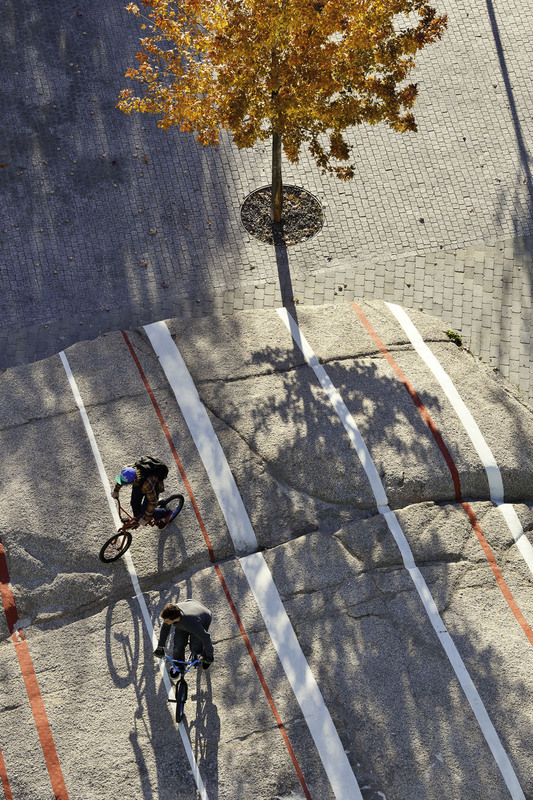 Sugar Beach is three parks in one - an urban beach, a plaza next to a studio performance stage, and a tree-lined promenade - united by a singular reference to the sugar refinery across the slip. 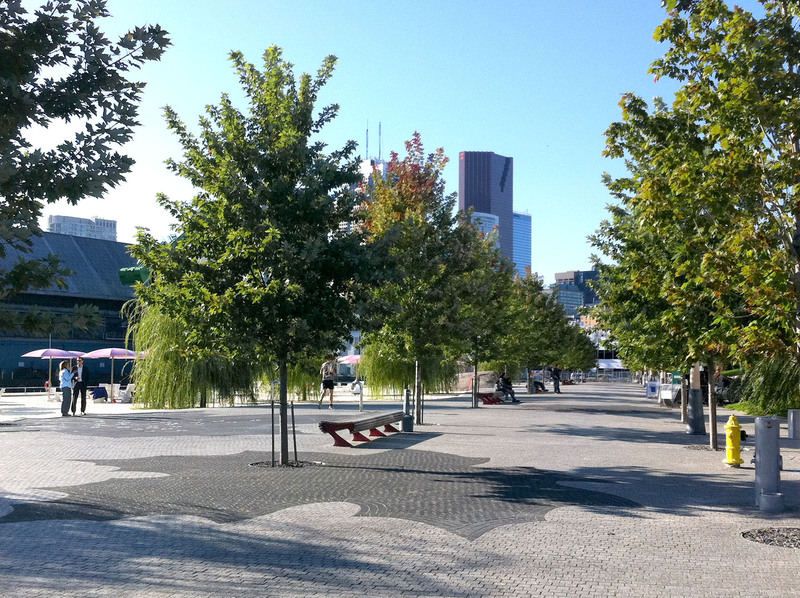 The composition of spaces, details, and views aims to foster an experience of the surrounding phenomenon between the verticality of the city skyline and the horizontality of Lake Ontario, as well as a trace mood of the area’s industrial past.